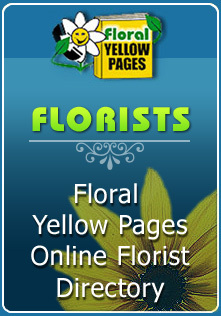 Florists can always be found on floral yellow pages. Florists are the people who help you with those special events in your life. As love is a beautiful feeling it has to be expressed in a beautiful way.Thus the best way of expressing love for your partner is by giving them flowers. Flowers speak the language of love. Different types of feelings are expressed by different types of flowers. Finding the perfect Florists can sometimes be hard to find. Well it was until you came here where we help you achieve that missing factor. Finding local florists in your area and also being able to put you in touch with them. Whether it is Valentine's Day or Mothers day, you can get a beautiful collection of flowers. Expressing love doesn't mean only your partner; it can be parents love, friends love, love for brother and sister, etc. For friendship you can give flowers like Iris, for expressing love to your mom you can purchase flowers like carnations and so on. Flowers signify your love and care for that person. 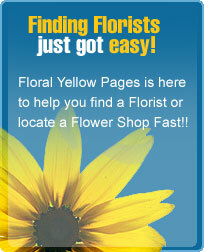 Floral Yellow Pages helps you accomplish the one thing needed which is finding a florist nearest to you. Our database is the largest on the market. Florists come to us and want our help in getting them more in touch with local consumers in their area.